Mondo Mio, one of the long-standing restaurants at Robertson Quay, is celebrating its 10th anniversary with a freshly revamped menu and off-the-menu specials to showcase the flavors of Southern Italy. Till 15 December 2016, you will be treated to a celebratory four-course set menu priced at just $45 per person. Of course, there is always the a la carte menu if that’s your preference. Go straight for the mains we say as the starters are nothing special. Pizza con Rucola Pesto ($22) is a standout at Mondo Mio. 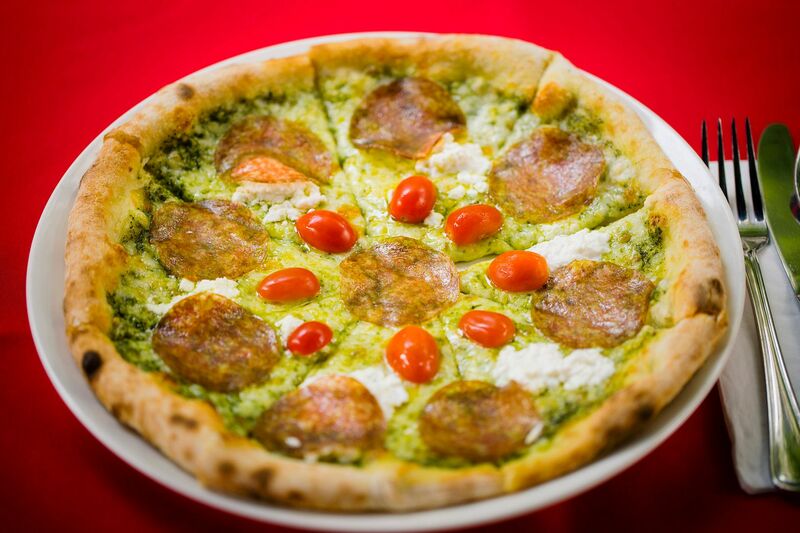 The homemade pizza dough is topped with rocket pesto, mozzarella, salami, ricotta and cherry tomatoes, and yes! Rucola is used in the pesto instead of the usual basil. Love homemade pastas and seafood? Gnocchetti in Salsa di Scampi, Zafferano e Gamberoni ($28) is a dish that might suit your tastebuds. 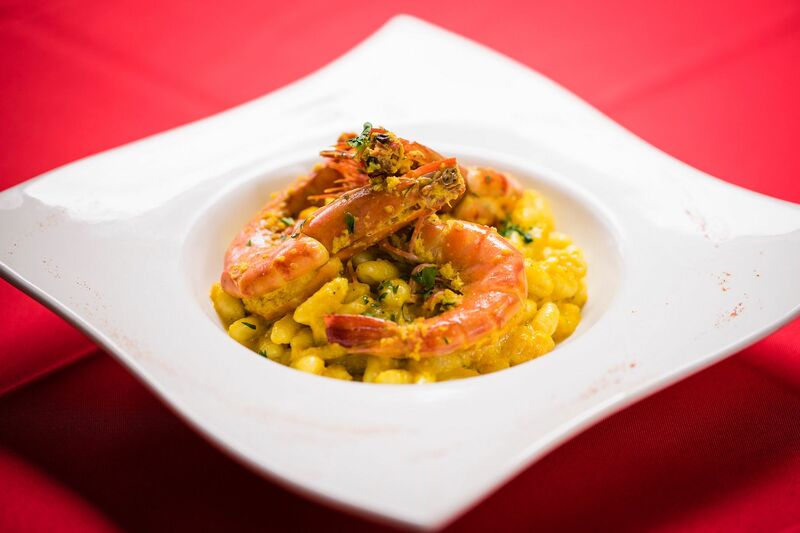 Served with prawns, the homemade gnocchetti is cooked in grainy scampi sauce with seafood stock and saffron, resulting in a rich sauce akin to lobster bisque. The gnocchetti is al dente, with enough bite that I love, although I can imagine it to be a jaw exercise for some. Another homemade pasta dish available is the silky tagliatelle, tossed in unique eggplant sauce that could have easily been mistaken for cream with such viscosity! Tagliatelle Fatte in Casa con Crema di Melanzane e Cicale ($26) is served with sautéed crayfish. Not the freshest crayfish, but manageable with the robust sauce. 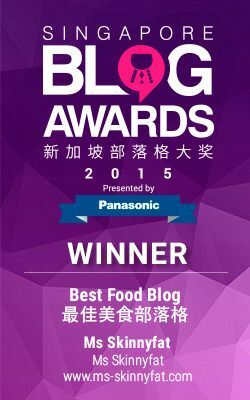 It is an additional option for those who love pastas sans cream. 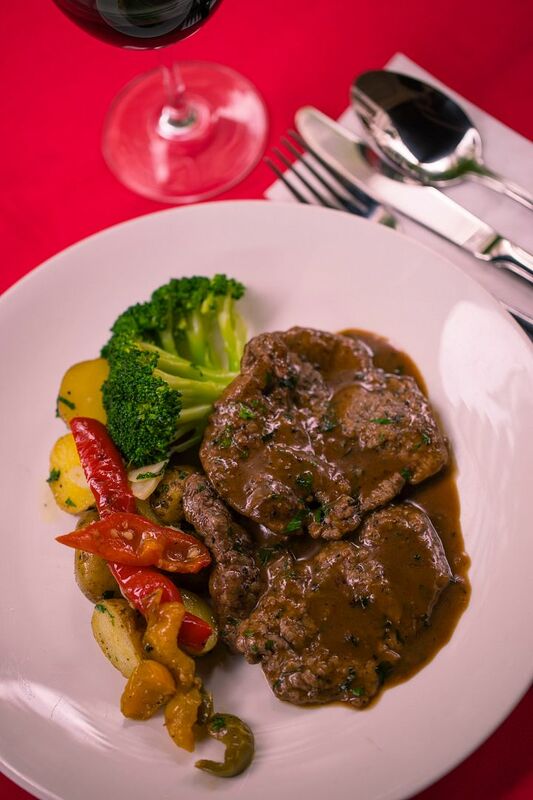 Scaloppine al Marsala ($24), a dish of pounded New Zealand veal fillets with Marsala red wine sauce and served with seasonal roasted vegetables is comforting to the tastebuds. The well-tenderised meat in savoury sauce has notes of nostalgia, just like the Hainanese western food that I had as a kid. 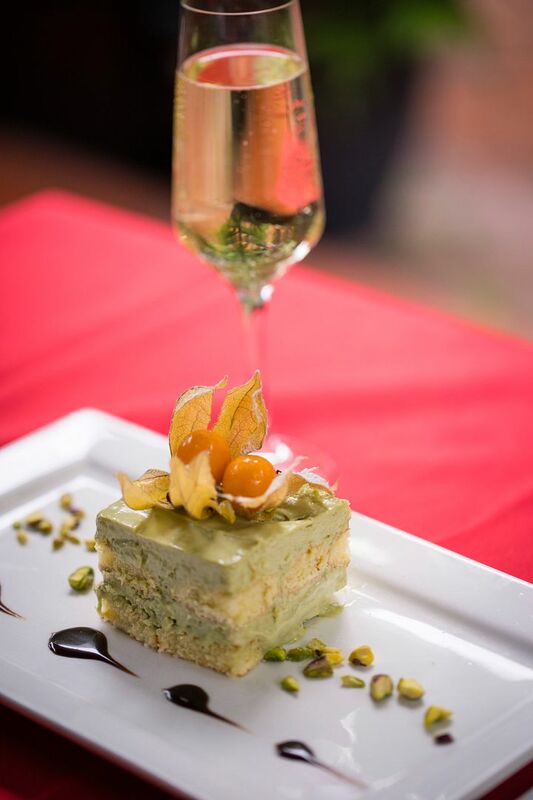 The classic Tiramisu is given a twist at Mondo Mio. Although still very much Italian with pistachio flavor, Pistacchio Tiramisu ($12) failed to impress me. The pistachio flavour was neither intense like in pistachio gelato (drool) nor the Bailey’s soaked sponge fingers moist and boozy enough for a tiramisu. It left me craving for a classic Tiramisu that I made one the very next day. 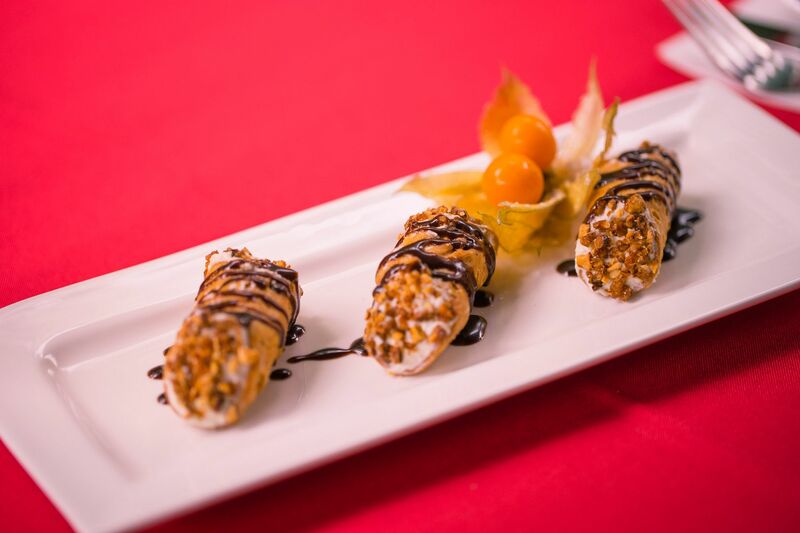 Get Cannoli Siciliani con Pera e Ricotta ($12/3pcs) for a taste of Sicily. These tube-shaped shells of fried pastry dough are filled with ricotta, Chantilly cream and diced pear, and garnished with caramelised walnuts. 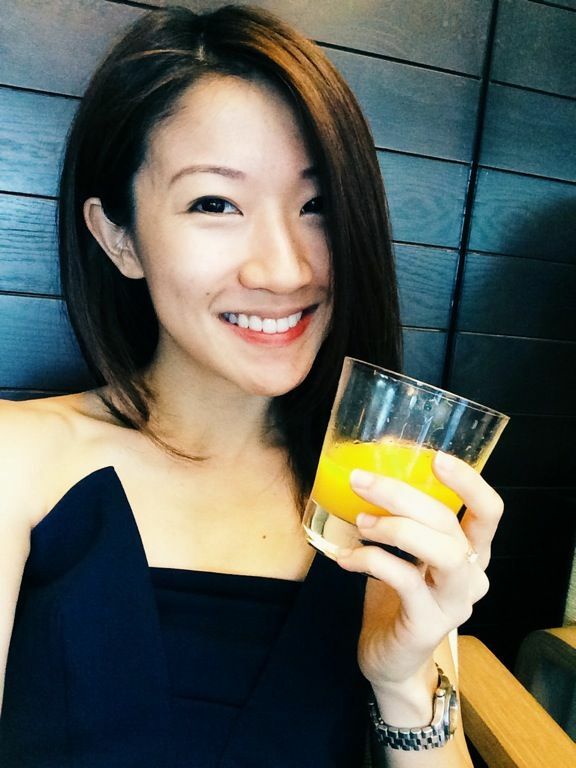 I am happy to have found these light and crunchy cannoli in Singapore! 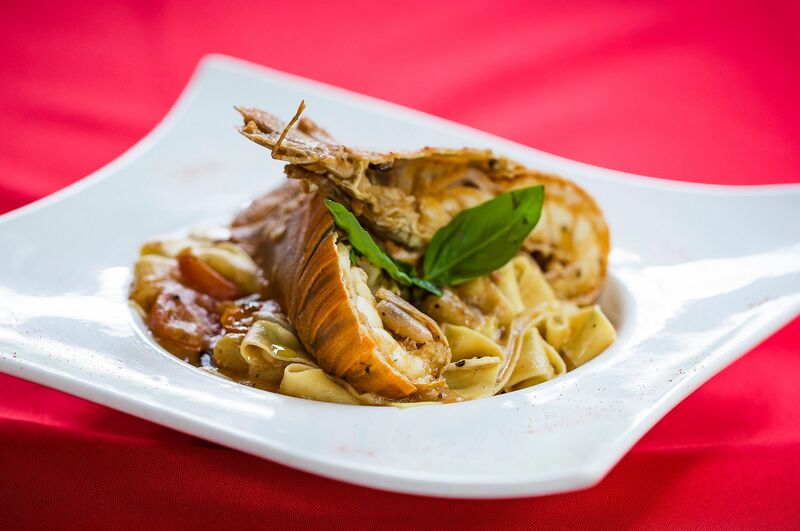 Mondo Mio serves food that is kept simple with true flavours that exemplify honest Italian cuisine. It is a lovely place for the home-cooked meal that you enjoy but refuse to step into the kitchen.